SFmag.hu: How much research do you usually do for a novel, how many books do you usually read, and do you consider the quality of scientific periodicals acceptable? 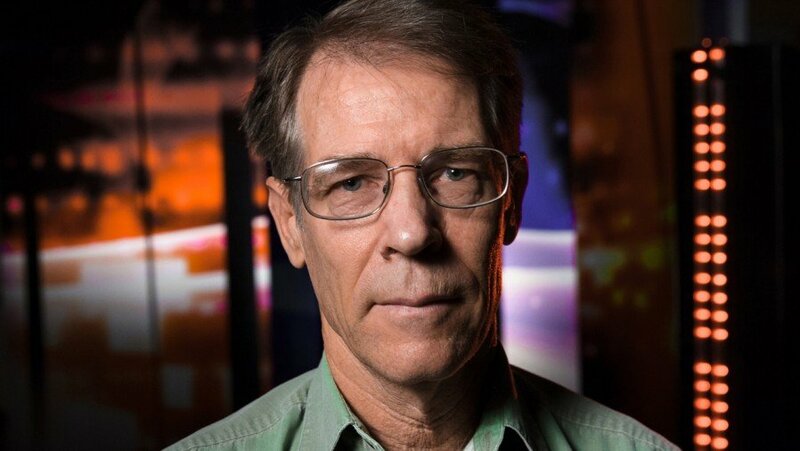 Kim Stanley Robinson: I research continuously as a write a novel, and usually have collected a shelf of relevant books that I poke around in for a couple of months before starting. I usually rely on about 20 books, and articles and internet material, per book. I often own more, but only some of them are truly useful. The scientific periodicals are great. I read Science News every week, that’s a kind of newsletter, and then the more technical journals as needed. They help to clarify and to provide ideas. Your novel 2312 was posted on several short lists, and won the Nebula Award, too. What’s your take on science fiction awards, how serious do you consider them? All awards are club awards, this is important to remember. Even the Nobel Prize is just one Swedish club. So I keep that in mind, and what I feel about awards depends on what I feel about clubs; also I know I’m not eligible for many awards, as I am not in the clubs involved, either through my choice or theirs. If it’s their choice I’m not in their club, and I don’t get their award, then that’s their problem, not mine. So, as a science fiction writer, I think the Hugo award is important, as it comes from the central group of science fiction fans. That’s not exactly my core audience, but I am fond of them, and if they like a book of mine, it means something to me. Then the Locus awards, given out by Locus magazine, used to be a readers’ poll, and the readers of Locus are the industry itself: writers, editors, publishers, booksellers, people who really care. So a Locus Award was a big thing to me, coming from the industry. Now they have opened the award to anyone who wants to vote, which reduces its meaning for me greatly. In fact I am pleased that they report that if the poll was restricted to Locus subscribers only, both Galileo’s Dream and 2312 would have won the Locus awards in the year they came out. I remember that even though it is not official, because it’s a sign from the industry I am part of. Then the Nebula award comes from my fellow sf writers, and that matters of course, but writers all have their own agendas, and it’s the young sf and fantasy writers who care most about that one, so they vote for their friends, and it’s very clubby. The British SF Awards come from British fans and I love the British sf community, so that one matters to me. The various jury awards (Clarke, Tiptree, Pulitzer, any jury award) are simply jury awards and the juries have to reconcile their votes and it’s a mess; I’ve been on juries and seen it. So no jury award means much to me, though if a book of mine were to get one, I would be pleased of course. But it would mean precisely that 7 people compromised by picking my book. So in fact, real sales matter hugely more, as being choices by that many more readers. What counts are readers. Giving a book the time to read it; the effort; that’s a big gift! What’s your opinion on the Mars One project? Do you believe that the colonization of Mars may happen in this century? This project is silly. It’s either a deliberate scam, or else the organizers have also fooled themselves, in which case they are all delusional together. There is no real plan to get to Mars there. It’s a lot harder than they are pretending, and many huge problems have not been solved by anyone yet. Nothing has been tested. Radiation in space; creating a gravity effect by spinning a spaceship; living on the Martian surface, with the perchlorates and the super-fine dust; none of this has been tested for, and any one of them could be a complete stopper. And they don’t have the money to build, but they have taken people’s money in the application fees. So: is that a scam, a fake, a rip-off? I think so. They may be sincere, but if so then they’re just fooling themselves too. Really: ridiculous. As for getting to Mars this century, maybe. Could probably be done technincally. Scientific base, buried deep for radiation purposes, astronauts and scientists there for one or three years, then home: could happen. If we wanted to do it, we could. But it would be an expensive and international project. At least I hope international; possibly one big nation could do it alone, but I hope not. I think it will be like Antarctica is now, or the moon might be; some scientific bases, some people in and out. That is not exactly „colonization” as you put it, but at least, human presence. I would like it to happen sooner rather than later, but beware the internet stupidities; this will take all of us doing it by way of government space agencies, I think, given the 100 billion dollar price tag. And I like it being public rather than private anyway. So that part I like. It’s too hard to become a rich person’s hobby. If you would begin the writing of the Mars trilogy today, would you change anything? If so, what would it be? I wouldn’t change anything. I got lucky in that when I started the book, we already had the Viking data in and it was very comprehensive. We’ve refined that knowledge but not changed it. As for the story, I like it the way it is, and I included Islam, world revolution, biosphere-wrecking capitalism, and so on, so historically it is still very relevant to our moment now. And I like the characters. No, there was a lucky star over that one. I should add that if I were writing it now I would slightly change the spaceship the first hundred takes to get there in the first place, of course. What scientific discovery of the recent years did you find to be the most inspiring? Well, I don’t know if this is a scientific discovery, because really it was just a finding, but the Chauvet cave and the alpine man in the ice, both in the 1990s; great findings about early humanity. As for current human science inventions or such, I guess stem cells, also heart artery stents, and in general medical advances all across the board. I don’t think anyone can see the future of humanity. It’s a big spread of possibilities right now, ranging from utopia to extinction. At the same time, I don’t think the ordinary „muddled middle” of ordinary history can sustain. We either get it together as a civilization and live within our biophysical means, in which case we might have a glorious semi-utopian (or optopian) future, or else we are in for a terrible time, a mass extinction event that will hugely damage humanity too. So, I’m hoping enough of us see that to overwhelm the ones who don’t see it. I want a post-capitalist economic system that prices the natural world properly and takes good care of it. That will take some doing. 2312 features an interesting love story. Care to elaborate it with a few words? Sure, this was the origin for that novel, the idea that a mercurial character and a saturnine character fall in love. This would be an odd couple, but it occurred to me that all couples are odd couples, so it could be like a limit case of sorts, and funny. In a way it was a joke: the British sf writer Adam Roberts noted that my Galileo’s Dream was the latest of many books that included mention of the Greek theory of the four temperaments, and that I seemed over-fond of this idea, which I am, and I laughed to read this, and thought I would double-down as they say, and get even crazier by going for astrology itself, with the mercurial and saturnine. So Roberts helped me, which is very rare with reviews, but he is a very smart thinker and a pretty generous reader, and excellent novelist, so it makes sense in a way. 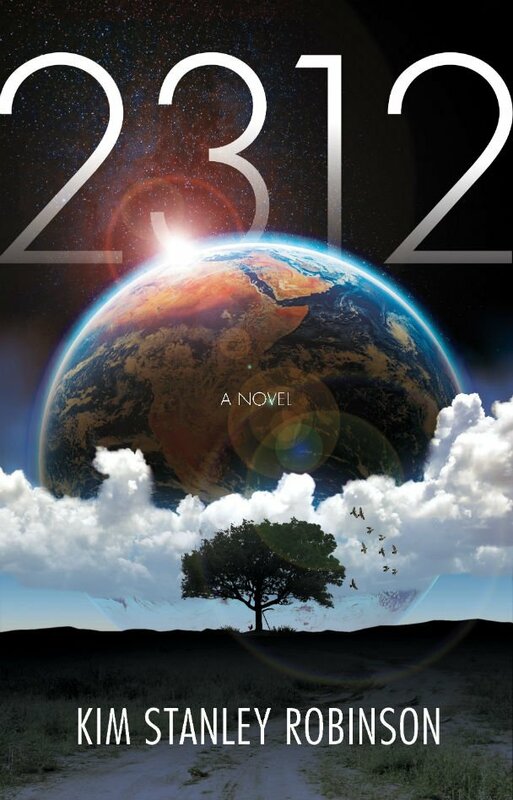 Do you have plans for a sequel for 2312? No, not at all. I don’t think books should have sequels. My Mars books were just volumes of one novel, and I did that again in my DC novel, but by and large, I like novels to have endings that stay ended. No sequels for me, and no more multi-volume novels either, I hope. Do you have a novel which got unworthily little attention, and why do you consider said work important? Thanks for that question, so far I don’t think my Galileo’s Dream as gotten as many readers as I would have hoped, as I love Galileo, and feel that is one of my best books. However, it is a time travel novel in the form of a Renaissance fantasia, and thus both a historical novel played straight, and a time travel back story novel, similar to a Tim Powers story in that sense, so it is a real melange, and I guess easy for people to misunderstand. But I think it is a good novel about Galileo and the birth of science, and hope it makes its way eventually. What’s your writing method? Do you write with a strict daily schedule? Who is your first reader? I write my fiction always in my front courtyard, under a tarp if it’s raining, with a heating pad on my feet if it’s cold, and wearing my snow camping gear; and in the heat, I have a fan and a mister. Being in a Mediterranean climate, I can do this, and it helps me to enjoy the act of writing itself. That has been five books now. I also try to write every day, including weekends, and write every day from the start of a novel to the end of one; this helps me too. I just finished 120 days in a row on my latest, with many days before that devoted to rough drafts. I usually start in the morning or early afternoon, when the family is gone to work and school. What were the first impressions which put you on the path to become a sci-fi author? When did you write your first story? I began reading sf when 18 years old (Asimov and Verne and Wells) and it took over in my life, I think because I grew up in Orange County, south of Los Angeles, and my region went from agriculture to full city in just a few years, so that I experienced „future shock” and so I regarded sf as the best realism for California in our time. It felt right to me. I wrote my first sf story (later the first chapter of the Memory of Whiteness) in the winter of 1972-73, and after some time away writing poetry, got into writing sf seriously all the time, in 1974. Do you read contemporary sci-fi, and if so, who would you recommend from your own field of hard SF? I like the work of my late friend Iain Banks, also Ken Macleod, Geoff Ryman, Paul McAuley, Alistair Reynolds, Gwyneth Jones, Gene Wolfe, Terry Bisson, Karen Fowler, Molly Gloss; also among younger writers, Cory Doctorow, Paolo Bacigalupi, Jonathan Lethem. There are lots of wonderful writers these days. Some of the YA novels can be considered sci-fi. Do you have plans for going down the road to that world? Do you think it is possible to teach science in YA books? I think YA is fine as young readers are among the very best, and I think YA can definitely teach some science, but I don’t intend to publish in that category, because I think my sf novels are already for young adults, and I am always meeting young people who have read the Mars books at age 12 or whatnot, even The Years of Rice and Salt, so I feel like young readers already have science fiction on their radar, and will read me. So I think it likely my books will stay defined as science fiction, but it has to be understood, these are all marketing categories more than reader populations, and publishing decisions are not always strictly literary or demographic. In essence, I am already in one pigeonhole, or one shelf of the bookstore, so it’s best if I stay there, just so readers can find me. Can you tell us something about the topic of your current novel in progress? I just finished a starship novel in which people in a multi-generational starship try to get to Tau Ceti and occupy one of the planets around that star (actually a big moon of one of the planets). Problems follow….. This is a list of interviews and guest appearances in conferences or events of Kim Stanley Robinson .